[By Nick] In my last review, I mentioned I can't stand applesauce (Dubba's Note: HEATHEN!). However, I absolutely love a fresh, crisp apple. Living in Upstate, NY, nothing quite says fall like a freshly picked apple from a local orchard. Apples are basically what pumpkin spice is to the rest of the world around this time. Apple cider donuts are easily one of my favorite treats around this time but if anything tops those, it has to be a caramel apple. Sure you can get them at most fairs during the summer but the ones I can get locally in the fall are far superior. So why did I give you this back story? 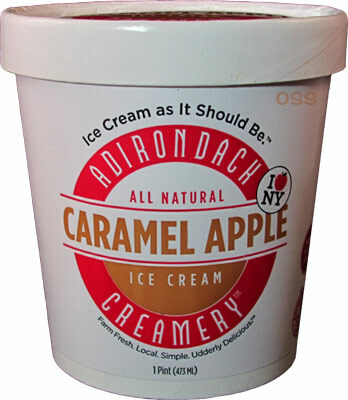 Well, I've been meaning to try Adirondack Creamery for a while now and knew they came out with a Caramel Apple flavor last year that is exclusive to the NY Metropolitan at the Whole Foods in Brooklyn as well as Adams Fairacre Farms in the Mid-Hudson Valley. I live nowhere close to either of those places so when I spotted this flavor at the Niskayuna Co-op I jumped right on it. I have no idea how they got their hands on it but I'm not complaining. Removing the lid, I'm not exactly sure what I'm seeing. It kind of looks like there's an icy caramel/apple mix going on the top. Tasting it, the flavor and texture is reminiscent of one of those apple slushy bar things they'd give us in elementary school. Except this is better and there's a strong caramel flavor profile to boot. Oddly enough, this is the only occasion throughout the whole pint where this occurred. I'm guessing something didn't fully mix at the end and that was the end result. Honestly, it was pretty tasty but with that all gone lets move onto the actual ice cream. 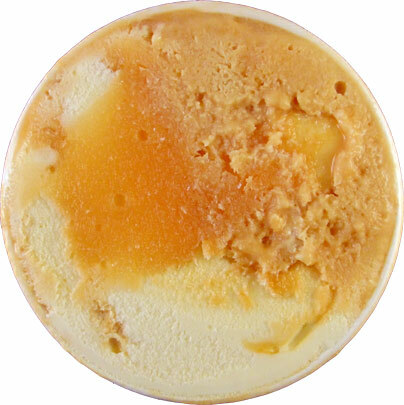 First off, the base's texture is dense and creamy. Despite the slushy substance on top, this is a very creamy ice cream. There's no official description besides the information of where they source their apples and caramel. The base's flavor is light on the palate. There's a distinct apple flavor going on but not something that's going to bash you over the head with artificialness. It's actually quite refreshing and reminds me of biting into a freshly picked apple. This light quality lets the caramel take the lead and really shine through. 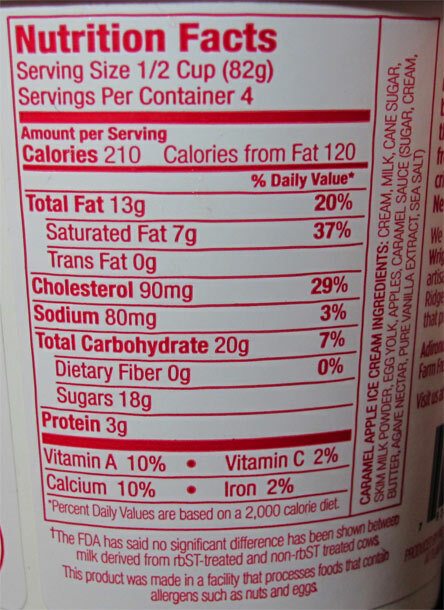 They say they use a salted caramel but the salt factor isn't all that high. You get a little saltiness on the backend but it works to bring out the sweetness in the apple base. The caramel isn't thick like I prefer but it's liquidy state lets it blend in with the base easily. Combining the two together and I'd be darned if I didn't feel like I was eating a creamy version of a caramel apple. The flavors just pair so nicely together. This is basically fall in a pint for me. Sure there's nothing in the way of solid mix-ins but I don't care. The ice cream's flavor is enough to keep me coming back for more and this pint was gone before I knew It. I'm proud to say Adirondack Creamery is a company based out of my neck of the woods. This is what I expect from a New York based company. If you spot this flavor, don't hesitate to pick it up. 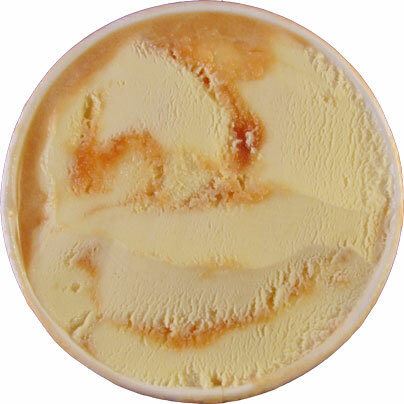 It's the closest you're going to get to a caramel apple in ice cream form. Now I need to go try some more of their flavors out! Verdict? Tastes like a caramel apple but without all of the mess! Buy Again? Anytime I need a fix of fall.